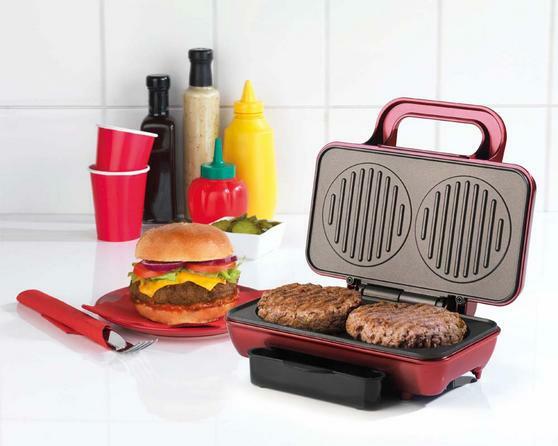 This fantastic burger maker is perfect for cooking gorgeous juicy burgers with your friends and family when it is too cold to get the barbeque out. The power on, ready lights and automatic temperature control make it incredibly easy to use and the cool touch handles provide safety while the plates are hot. 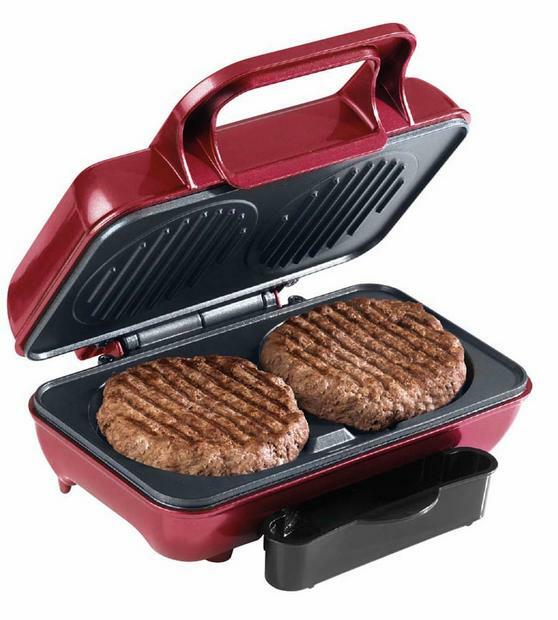 The burger maker has a drip tray to drain any excess fat, as well as non-stick top and bottom plates which ensure that the burgers will easily be released once they are thoroughly cooked. If you fancy fast, fun tasty burgers for dinner, this burger maker is ideal; simply create your burgers then pop them in to cook. With 800W power you can cook 2 burgers in just 8-10 minutes, and the cool touch handles enable you to safely check them during cooking. 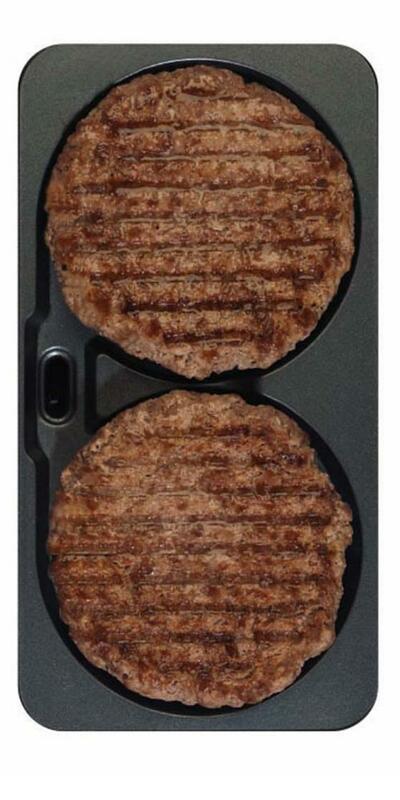 The plates are wonderfully non-stick to release the burgers without tearing or crumbling, and to make cleaning easy with no scrubbing. It comes with a drip tray which can be placed underneath the burger maker to drain the excess fat so you can enjoy a healthier burger. With fabulous recipes included you can get creative and make turkey burgers, chilli burgers and even delicious vegetarian bean burgers.